The Lawrence family has been associated with the Morristown area since the early 1930’s. The family had a camp on the river between Morristown and the Boy Scout Camp, “Camp Vigor of the Woods”, where Jacques Cartier State Park in now located. RB’s Uncle Vernon drowned in a canoe accident west of Old Man’s Island in 1935. He has always enjoyed being associated with the river, having moved to Morristown in 2007. He is the father of one son Russell B. “Rusty” Lawrence and one daughter Jessica Pecola and two grandchildren. 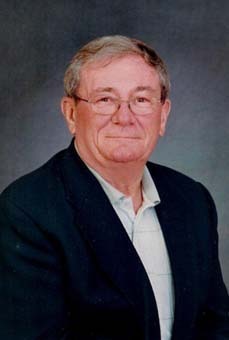 RB served on many committees and with a variety of service organizations and was first elected St. Lawrence County Coroner in the fall of 1980. RB is currently a member of the New York State Funeral Directors Association and a member and past treasurer of the NYS Association of County Coroners and Medical Examiners. He has also been a FAA licensed pilot since 1972 and a member of AOPA (Aircraft Owners and Pilots Association).